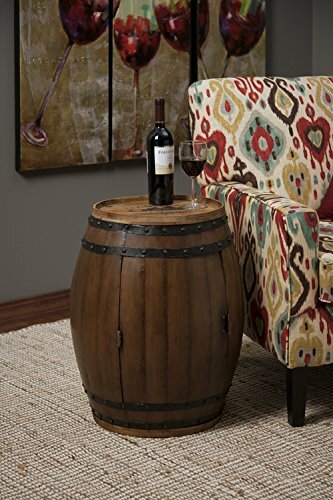 Complete the look of any rustic room setting with the IMAX 74211 Napa Barrel Table. 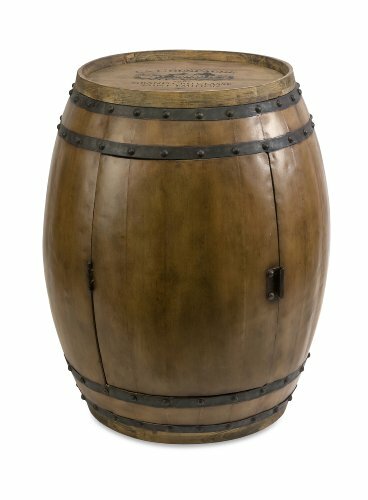 The Wine barrel side table is handcrafted by skilled artisans to confer fine, antique detailing. Made from high-quality wood and wrought iron, this end table offers extended durability. The vintage inspired wine barrel stand not only becomes an interior rack to items, but also doubles up as a coffee or side table. 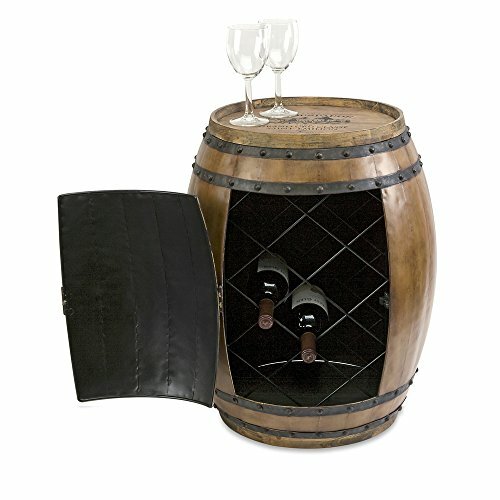 The barrel storage table is an ideal accent to your home bar furniture. This vintage-inspired accent furniture is easy to maintain and can be cleaned with a dry cloth for regular care.